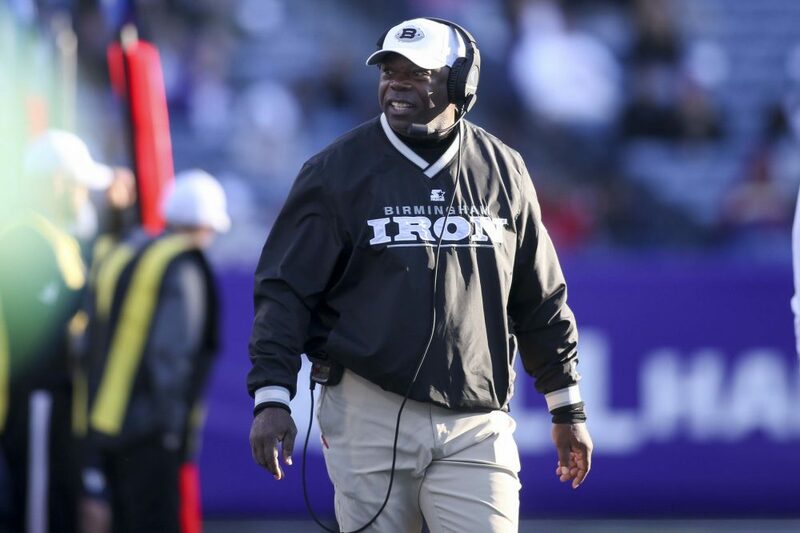 The Apollos were led by the old ball coach had the best record, but the San Antonio Commanders and Birmingham Iron could have given them in run in the playoffs that never were. I really was hoping Luis Perez of Birmingham would be the breakout guy off the AAF because he has a great back story, but he came out hot, then struggled and ended up being benched. It sounds like Gilbert will get a shot with the Cleveland Browns. He led the league with seven sacks. High motor guy that was always fun to watch. Schult was just recently picked up by the Minnesota Vikings earlier this week. Ok, he was only one of two coaches that had never been a head coach, but he did a solid job with the Iron and deserves a shot in the NFL. He was hobbling around like he was five months past due on his hip replacement surgery. They played hard and struggled to move the ball. Overall I enjoyed the games. Like I mentioned earlier, I think the defense was ahead of the offense for most teams, but the games moved fast and kept me watching. Other the the opening weekend of March Madness, I saw most of the games. I think the NFL will eventually get rid of the kick-off like the AAF did and it sounds like the ref in the sky idea will begin next season. So what really happened? The games were good, the crowds were not great, but you could find and watch the games if you wanted to find them. Tickets were cheap. Is it just that there is too much going on already in everyday life to hold people’s attention for another league? Is football not a fix everyone needs year around? Is the NFL such a 12 month story with the draft, free agency, stories about fired coaches and start QBs that we don’t need another league? What tricks will the XFL have to try to make money? Personally, I think they overpaid the players. Think about guys coming right out of college looking for work. A decent job is about $30,000 a year. Get young coaches and pay them a little more. Big name coaches maybe added to the story, but by game three no one cares, they want to watch the football. Save some cash there. I probably won’t really miss the AAF until the end of February next year on some idle Saturday when I can’t go outside and have nothing to entertain me and I think to myself, did Steve Spurrier get his hips fixed?